My dear family is away for 4 days (!!! ), and I have been catching up on some things, including writing here in this space. The last few days have been filled with things that would make most people bored as hell, but for me it has been a much-needed escape from chaotic family/work life. I am really enjoying the quiet thinking time, and getting those things-that-never-get-done done. 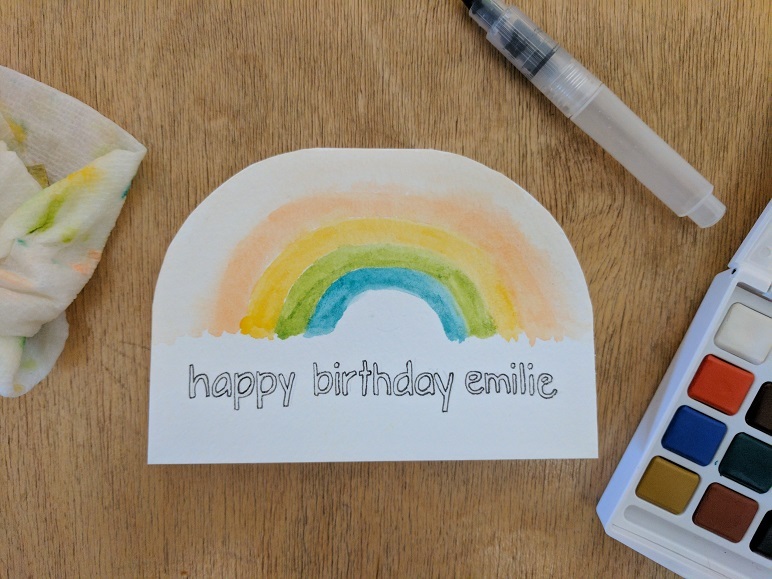 On my list of things to do was to make a birthday card. 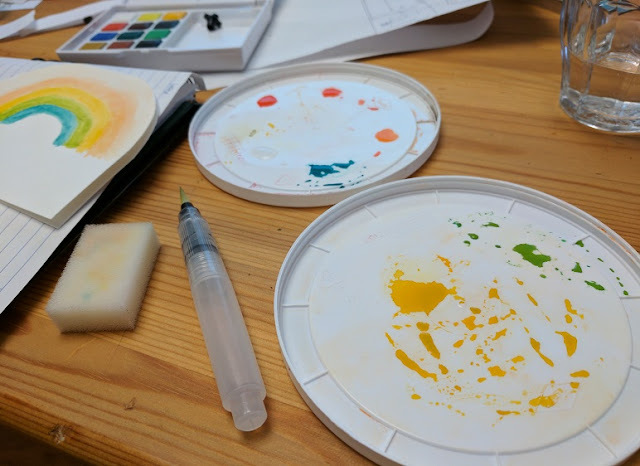 A friend recently asked me if I have been using my watercolour paint set, which reminded me that I haven't been using it, and probably should. I painted a couple of cards since buying the set before Christmas, but neither of them turned out well. One of the cards was particularly rushed and messy; I put it together minutes before we had to leave for the event where the card was to be given. This time around, I went a little slower, put some thought and planning into it, read a couple of watercolour tips online, and preblended colours to get the right hues. 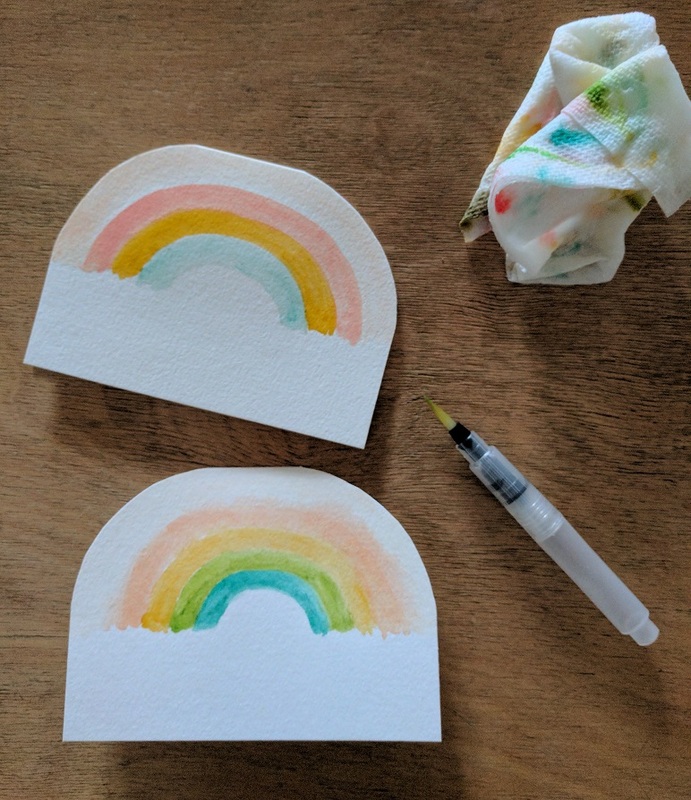 I ended up with these two rainbow birthday cards; a simple and sincere design with a space to write a personalized message underneath. love it! and your lettering is always so nice!